Brains versus brawn. The pen versus the sword. Might against intellect. It’s a battle that seems to have raged forever. Often, the assumption is that it’s one or the other – yet this is by no means always the case. Practically all professional boxers are well-honed athletes, but some have also proven they’ve got just as much power in their brains as they have in their biceps. It’s not all black and white: there is room for grey matter. It’s the Ukrainian Klitschko brothers who’ve most famously wowed the world with both their academic prowess and their skills in the boxing ring. Wladimir Klitschko was awarded a PhD in Sports Science in 2001, while his older brother, Vitali, is nicknamed Dr. Ironfist and is the first pro boxing world champ with a PhD – just beating Wladimir to the punch, you might say. Vitali is currently the WBC heavyweight champion and a member of the Ukrainian parliament; and current WBA (Super), WBO, IBF and IBO heavyweight champ Wladimir speaks four languages. Yet there are other big-name fighters who’ve managed to cut it in university and show their brainpower, too. 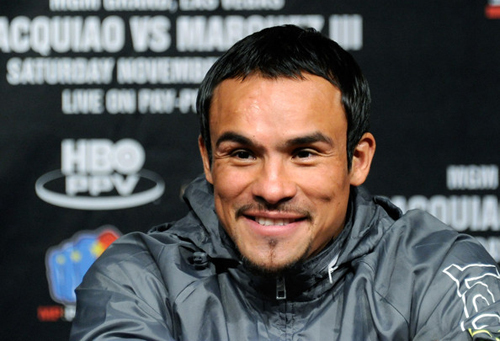 Read on for 10 boxing champions who you’d never guess had college degrees. 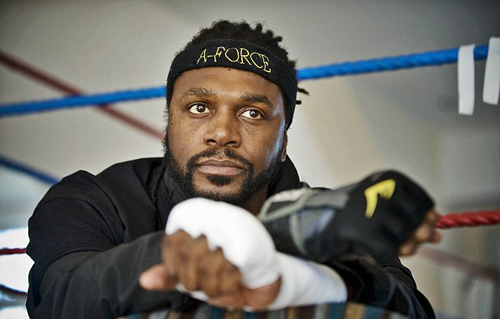 London-born boxer Audley Harrison rose to prominence at the 2000 Sydney Olympics when he won an Olympic gold medal in the super heavyweight division, becoming the first British fighter to do so. Yet for Harrison, it was another accolade in an already glittering amateur career. In 1997, he became Britain’s super heavyweight amateur champ; then, the following year, he kept the title and collected a gold medal at the 1998 Commonwealth Games. While his interest in boxing continued to develop at college, Harrison managed to balance it with his academic pursuits. And in 1999, he graduated from Brunel University, England with a BSc Honors degree in Sports Science with Leisure Management. Unfortunately, since turning professional following his Olympic success, Harrison’s career has been inconsistent. And despite the fact that he won the European heavyweight title in April 2010, his bout with David Haye on November 13 that same year became notorious when he only managed to land one punch. Even so, the science graduate rejected calls to retire, and on October 12, 2012, he was knocked out by David Price 82 seconds into the first round. 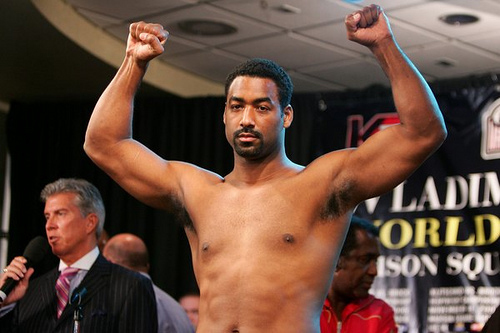 Harrison, now aged 41, is still keen to continue boxing. Maybe he should use his head and think again. With 32 knockouts and 44 wins during his professional career, James “Bonecrusher” Smith lived up to his nickname. But, in between crushing bones, Smith was also the first heavyweight-boxing champ to have been awarded a college degree. Smith achieved an associate’s degree in Business Administration from James Sprunt Community College, North Carolina in 1973. Furthermore, two years on he followed that up with a Business Administration bachelor’s degree from Shaw University. Then in 1981, after competing as an amateur boxer, Smith went pro at the age of 28. Despite nine straight knock-outs, and the fact that he managed to defeat the then unbeaten Frank Bruno in 1984, a succession of dropped points decisions led Smith to visit a psychiatrist. 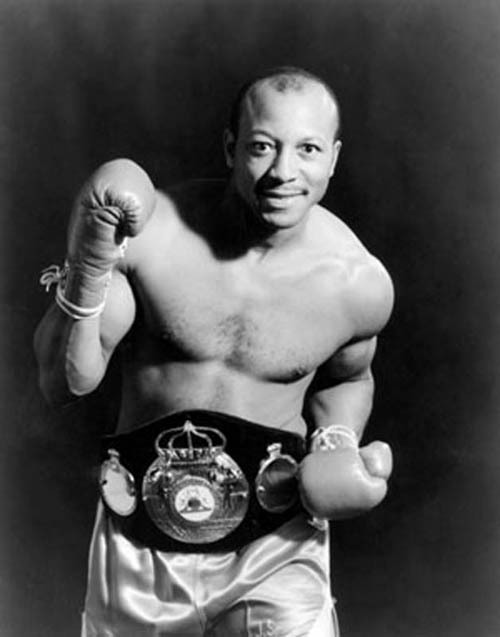 It seemed to work, though, as important decision wins over Jesse Ferguson and David Bey led to Smith claiming the WBA belt from Tim Witherspoon. However, in 1987 he lost the belt to Mike Tyson in a unification tournament. Smith eventually retired at 46, but it seems there was no doubt his academic background would come back into play. Smith was ordained as a minister in 1996, and he’s also done a considerable amount of charity work, including his establishment of Champion For Kids Inc., which provides high school students with scholarships. 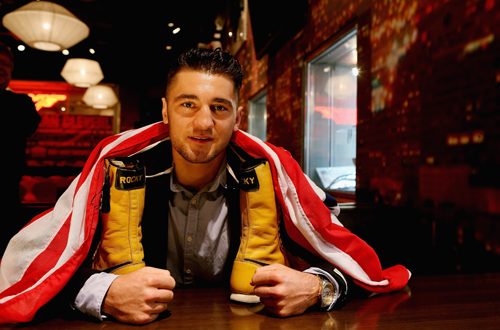 Nathan Cleverly is a 25-year-old Welsh boxer and rising star who’s already had a string of successes in the ring. Undefeated, he’s currently the WBO light heavyweight world champion and a previous holder of the European, British and Commonwealth light heavyweight titles. Before Cleverly’s November 2012 WBO title defense in Los Angeles, his belt was brought to the ring by Mickey Rourke and Tom Jones. But it’s not all been glitz and glamor for the Welshman. While competing for his European and Commonwealth titles, Cleverly was also completing a BSc in Mathematics at Cardiff University. Speaking to the BBC, the young boxer admits that the schedule was tough: “As well as crunching numbers, I’ve had to fight for the British, Commonwealth and European titles as well, and spend most evenings hitting the heavy bag and doing numerous press ups and sit ups,” he says. Still, with his degree behind him, the appropriately named Cleverly is expected to make the fourth defense of his WBO title on March 16, 2013, against Robin Krasniqi. Calvin “The Boxing Banker” Brock’s nickname might not strike fear into his opponents like other boxing pseudonyms, but it’s well earned. The name was bestowed upon him by an advertisement for the Bank of America, but it was no random celebrity endorsement. Brock was a former employee of the Bank and achieved a Finance degree from the University of North Carolina at Charlotte. He also looked after his own portfolio. Brock had always been passionate about boxing, and he went on to enjoy a successful amateur career. 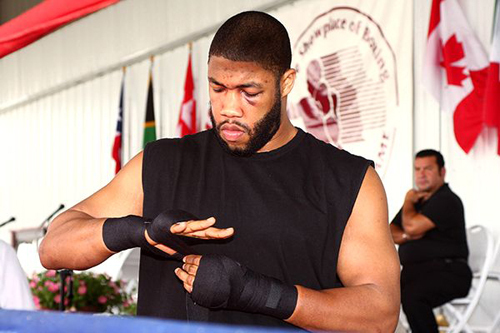 He won the National Golden Gloves in the heavyweight class in 1998 and was crowned the US amateur champ in 1999. He then went on to compete at the 2000 Olympic Games. Brock turned professional in 2001 and tasted considerable success, with 31 wins, 23 by knock-out. His biggest match-up was in November 2006, against IBF and IBO heavyweight champ Wladimir Klitschko in Madison Square Garden. The fight was his first professional title shot but also his first professional loss. Sadly, Brock’s blossoming career was cut short the following year when one of his retinas was damaged during a fight. Following unsuccessful surgery, he was deemed legally blind in his right eye and hung up his gloves. However, he returned to the financial world and now operates as a commercial real estate agent. 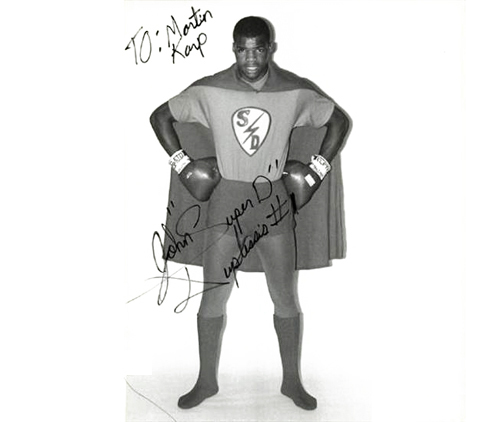 John “Super D” Duplessis earned his nickname from the Superman costume he wore when he spoke to school kids. As he explained in a 1988 interview, “It’s because I think I can be a super role model for kids.” Duplessis earned recognition for his work with disabled children and against drug abuse. He was also highly respected in the ring. Duplessis was a champion amateur boxer from the age of 10, and he turned professional in 1984. Trainer Lou Duva compared Duplessis to Sugar Ray Leonard. But sadly, Duplessis’ career came to an early end in 1995 when a bout left him legally blind. Still, undeterred, Duplessis threw himself back into education. As a full-time student at Southern University in New Orleans, he graduated with a BA in Psychology in 2002, before achieving a Social Work master’s degree from the same institution three years later. In 2003, a year after he’d taken up boxing in his sophomore year at college, Chazz “The Gentleman” Witherspoon won the Pennsylvania State Golden Gloves title. The same year, he proceeded to come third at the National Police Athletic League Tournament. And continuing his impressive performances, he also won the Middle Atlantic Regional Tournament, gaining the accolade of “Most Outstanding Boxer,” which qualified him for the US Championships. When he came second at national level, Witherspoon became eligible to try out for the Olympics – but in the end, he traveled to Athens in 2004 as an alternate. Still, later that year, “The Gentleman” turned professional. Witherspoon managed a run of 23 professional fights unbeaten, 15 of which ended in knockouts. A natural athlete, he had been offered three Division 1 basketball scholarships and two track scholarships when he graduated from Paulsboro High School in 1999. But, proving he had just as much brains as brawn, he instead opted for an academic scholarship at St. Joseph’s University in Pennsylvania, graduating with a degree in Pharmaceutical Marketing in May 2005 – a year after he’d turned professional in the ring. Juan “Baby Bull” Díaz (left) qualified to represent Mexico at the 2000 Sydney Olympics on the back of a string of amateur successes. Unfortunately, aged just 16, he was deemed too young to compete. Even so, the young Mexican had his first professional fight in June of that year and went on knock out his opponents in his first five bouts. In all, he racked up 24 victories with no defeats on his way to his first world title challenge in 2004. 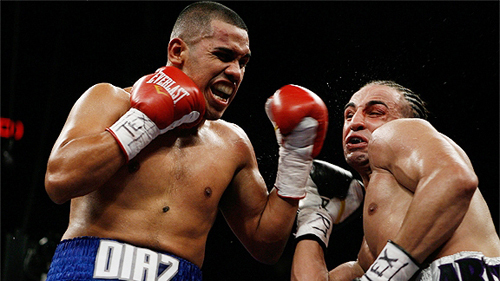 On July 17, 2004 Díaz beat Lakva Sim to claim the WBA lightweight title. But what makes Díaz’s accomplishments even more impressive is the fact that he maintained his studies. In 2001, he graduated from Houston’s Contemporary Learning Center, then went on to attain a bachelors degree in political science at the University of Houston–Downtown. In 2011, at the age of 28, and with a record of 35 wins and four defeats, Díaz announced his retirement. He then enrolled at the University of Massachusetts Dartmouth Law School and hopes to become a lawyer. Díaz can also add “businessman” to his already impressive résumé, as he owns a radio production company and co-owns a trucking firm with his brother. On January 21, 1977, boxers Carlos Palomino (left) and Armando Muniz (right) made boxing history. The WBC welterweight clash was the first world title fight between two college graduates. This led Los Angeles Times columnist Jim Murray to describe the bout as “boxing’s finest intellectual hour since George Bernard Shaw wrote to Gene Tunney.” Palomino won the fight thanks to two knockdowns and a knockout in the last round. Despite their schooling, the fighters’ boxing abilities seemed unaffected. What’s more, their 1977 meeting is remembered as one of the best bouts of that year. 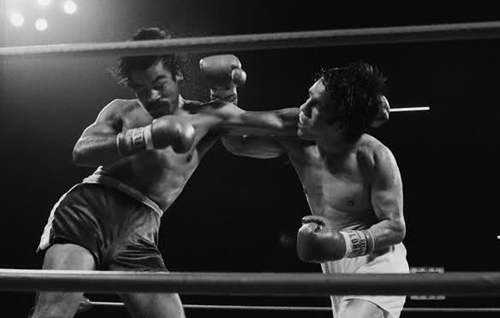 Palomino went on to win the 1978 rematch, as well – but both men will be remembered for together challenging the stereotype that boxers lack brains. Believed by some to be the greatest Mexican boxer of all time, Márquez still appears to be on top of his game. This was ably demonstrated in his fourth meeting with Manny Pacquiao, on December 8, 2012, when he convincingly knocked out Pacquiao, earning the WBO “Champion of the Decade” belt in the process. Nicknamed “The Viper,” Vernon Forrest started boxing when he was just nine years of age. Moreover, he achieved a 225-16 amateur record on his way to becoming the US junior welterweight champion at the age of 21. Forrest was the first member of his family to graduate from high school and, what’s more, he gained a scholarship to Northern Michigan University to study Business Administration. He left college – but only to follow his dreams, as he also qualified for the 1992 Barcelona Olympics. Indeed, Forrest went into the Olympics as the gold medal favorite, but he suffered from food poisoning early in the competition. Even so, “The Viper” turned professional that same year. Forrest’s career highlights included defeating Shane Mosley three times – once as an amateur and then twice as a professional. 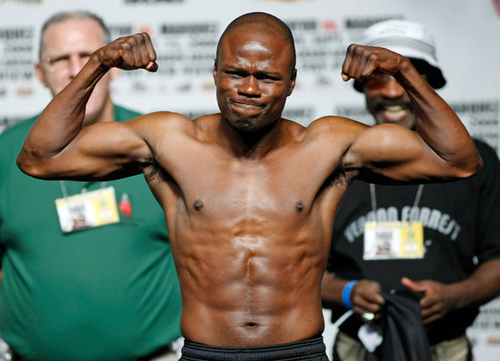 In 2002, he was crowned WBC welterweight champion and “fighter of the year” in Ring Magazine. Forrest also later claimed the WBC light middleweight title from Sergio Mora, on September 14, 2008. Sadly, it was his final fight. On July 25, 2009, he was robbed and murdered in Atlanta, Georgia.